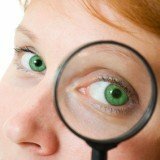 Are tenant screening reports from Tenant Verification Service Inc worth your money? Learn the truth here in our full TVS review. 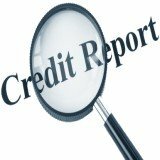 Their history of selling credit reports dates all the way back to year 2000, and they have been certified by multiple consumer protection agencies such as Better Business Bureau BBB and CyberTrust. 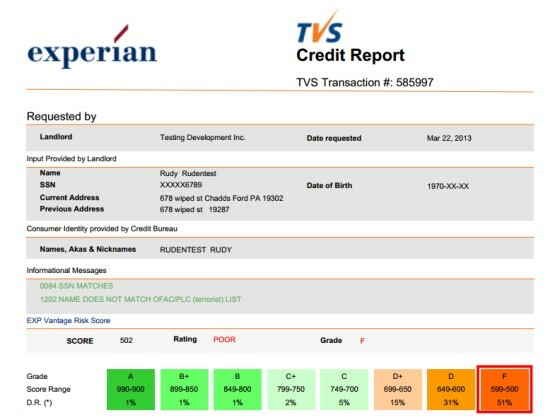 In fact, TVS enjoys the highest possible A+ rating from Better Business Bureau (see their BBB rating here). What we can draw from this: Very few customers have complained against TVS and any complaints made were settled to their satisfaction. What We Like About Tenant Verification Service Inc.
To test their level customer service, we rang up their toll-free telephone number twice and bombarded them with difficult questions. During our extended grilling session, we were only put on hold once because the staff had to double-check her answer. All in all, we find their customer support to be both professional and patient. If you prefer to look for answers yourself, their helpful FAQ should be able to answer most of your questions as well. Naturally what's most important is the quality of their tenant screening reports: We find that their credit reports are well-designed and loaded with helpful details. Their quick delivery time also impressed us: Once we ordered our reports, they were delivered to us instantly (via online access). This is a welcome surprise considering that some websites can take up to 5 business days to send their credit reports. To be honest, there isn't much to complain about TVS. However, we do have a minor grip with their registration process. Buying tenant reports from TVS requires you to sign up for a free membership first which takes several steps. But considering that it's one-time thing and takes no more than 15 minutes, we guess it's definitely something that can be overlooked. If you're an individual, Click on "Option 1"
If you're a property manager, Click on "Option 2"
All in all, TVS's reputation as a top rated tenant screening service is well deserved. Once you get past their lengthy member registration, you will find that their tenant reports and customer service are unrivaled. Their easy-to-use website and simple-to-understand reports also makes them appealing to newer landlords. Few tenant screening services bother to explain and present things in plain English like them.